The Philadelphia International Cycling Classic. The Philadelphia International Cycling Classic has been brought back from the dead before. Racing enthusiasts are hoping it can be revived yet again. After organizers announced last week the race was canceled this year due to a lack of funding and increased security costs, the Bicycle Coalition of Greater Philadelphia is petitioning city officials to figure out a way to restore the race. Race organizers indicated they were "taking a break in 2017," saying they were unable to find the sponsors needed to cover costs of $1 million. The race, known for its difficult climb of the "Manayunk Wall," has been held annually since 1985. It nearly didn't happen in 2013 because of similar financial shortfalls, but Manayunk business leaders and politicians worked to create a replacement event with an altered route. 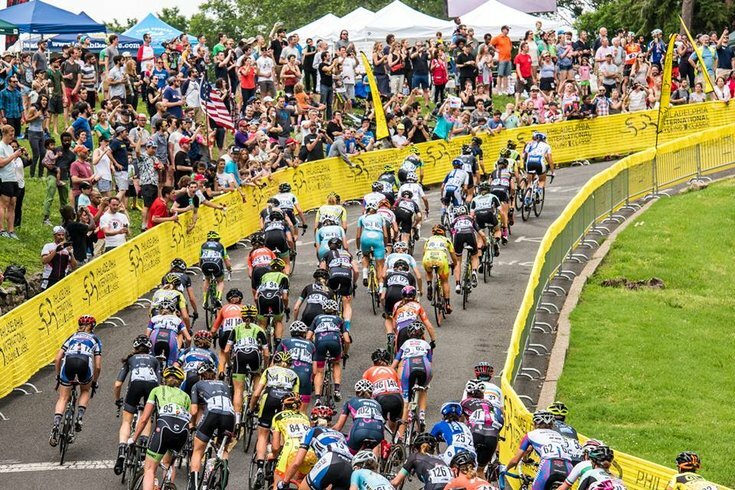 In announcing its petition, the bicycle coalition said the 12.3-mile circuit race "draws tourists from around the world" and brings millions of dollars in revenue. The race takes cyclists on a route through Manayunk, East Falls and Fairmount Park, and along Kelly Drive. "Last time the event was canceled, the City and Congressman Bob Brady were able to negotiate a deal to bring a race back to Philadelphia," the coalition wrote in a press release. "Today, the Bicycle Coalition of Greater Philadelphia is calling upon the city to reconsider the cancellation of the race and find a solution to bring it back this June." The online petition, which can be viewed here, encourages Mayor Jim Kenney and Brady to seek a solution ensuring the race is held later this year.